When you show up for work, you want to put your best foot forward, and you’ll do just that with the KEEN Utility Men's Wheat 1018667 Baltimore 6-Inch Waterproof Work Boots. They feature the classic look of men's work boots, and if they could talk, they’d say, � ... (see full details) (see specifications) #1018667. And these no-nonsense KEEN waterproof boots don’t just look like business - they mean it. The Baltimore wheat boots deliver sure-footed stability, serious support, and all-day comfort in a soft toe, waterproof design. For support and stability, the Baltimore begins with a rubber outsole that delivers cushioning and support, and the 90-degree heel and multi-directional lug add stability and traction. For added support at midfoot, KEEN built in a TPU shank for lightweight structure and support. This pair also meets F2413-11 EH standards for protection around electrical hazards. Next to the foot, KEEN’s “metatomical” footbed design cradles the natural contours of your foot and provides arch support that your feet will appreciate. The footbed is removable, and since it’s manufactured of PU, you can expect excellent cushioning. The Baltimore features a textile lining that wicks moisture away from the foot, which helps keep your foot dry and comfortable throughout the workday. And they feature Cleansport NXT™ that uses probiotic technology provide odor control naturally. Up top, KEEN builds these durable EH boots with an upper of premium leather and gives it a KEEN.Dry® waterproof, breathable membrane that lets vapor out without letting water into the design. The upper is strongly stitched in all the right places, so you can be sure your men's footwear will last. It's double-stitched in the eyelet area, across the tongue, at the top of the shaft, and at the back of the utility boots - and it’s quadruple-stitched at the sides of the vamp. The classic wheat color of the leather is trimmed in black at the padded ankle and base. With a sturdy fastening system that includes four eyelets and two speed hooks, you’ll find yourself in and out of these comfortable men's 6-inch boots in no time. 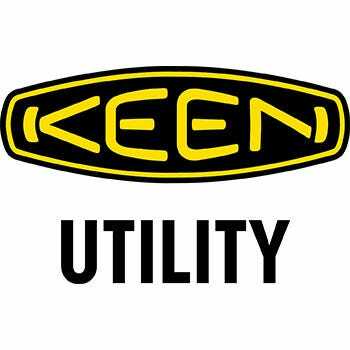 For waterproof footwear that means business, check out the KEEN Utility Men's Wheat 1018667 Baltimore 6 Inch Waterproof Work Boots. Get yours at Working Person’s Store today. I received the UPS package last night. Everything is in perfect condition, and the boots are the same size! I received the UPS shipping label and will put the other pair in the drop box today. Thank you so much for understanding my frustration and taking such good care to make everything right....and getting me the boots before Christmas! I appreciate the efforts of you and your team, and wish you all a Merry Christmas. KEEN Utility Boots: Men's Wheat 1018667 Baltimore 6 Inch Waterproof Work Boots is being added to your cart.